Death*: Mattie Octavia Pittard died on 23 August 1971 at VA . Marriage*: She married William Guilford Wheeless circa 1950. [S1627] The Nashville Graphic, 13 Mar 2012. [S242] Henderson Gold Leaf, 22 Nov 1904. [S2254] 1880 Burke Co., N.C. Census. [S2255] 1900 Burke Co., N.C. Census. Birth*: Alfred Plummer was born circa 1838 at Warren Co., NC. He was the son of Dr. Henry Lynn Plummer and Sarah(Sally) D. Ripple Falkener. He was the son of Kemp Plummer Sr. and Susan Martin. Marriage*: Dr. Alfred Plummer married Frances Love circa 1845. She was the daughter of Kemp Plummer Sr. and Susan Martin. [S21] N.C. Marriage Bonds unknown file number, pg 2470. [S1295] Plummer, Kemp Family Bible. [S161] Unknown author, North Carolina WPA Pre 1914 Grave Index. Birth*: Austin Plummer was born circa 1836 at Warren Co., NC. Marriage*: Austin Plummer married Mary Williams. Death*: Austin Plummer died circa 1850 at Warrenton, Warren Co., NC. Marriage*: Bettie Plummer married an unknown person. Birth*: She was born circa 1811. Birth*: Elizabeth Plummer was born circa 1834 at Warren Co., NC. She was the daughter of Dr. Henry Lynn Plummer and Sarah(Sally) D. Ripple Falkener. He was the son of Dr. Alfred Plummer and Frances Love. [S242] Henderson Gold Leaf, 2 March 1911. Birth*: Henry L. Plummer was born after 1829 at Warren Co., NC. Birth*: Dr. Henry Lynn Plummer was born circa 1798 at NC. Death*: Dr. Henry Lynn Plummer died circa 1863 at Warren Co., NC. Birth*: Kemp Plummer was born circa 1812. Birth*: Kemp Plummer was born circa 1832 at Warren Co., NC. Marriage*: Kemp Plummer Sr. married Susan Martin. Birth*: Kemp Plummer Sr. was born in 1769 at Gloucester Co., VA; From SKETCHED OF OLD WARRENTON page 399: Kemp Plummer was a Lawyer educated at William and Mary College. He began his profession as Lawyer in Warrenton in 1799. Death*: He died circa 1825 at Warren Co., NC. [S218] 1850 Orange Co., N.C. Census. Birth*: Samuel Harriss Plummer was born on 10 October 1874 at Vance Co., NC. He was the son of Henry Falkener Plummer and Lucy Davis Henderson. Birth*: John Terrell Ponder was born on 10 August 1815 at Buncombe Co., NC. Marriage*: He married Mary Parthenia Archer on 8 November 1838. 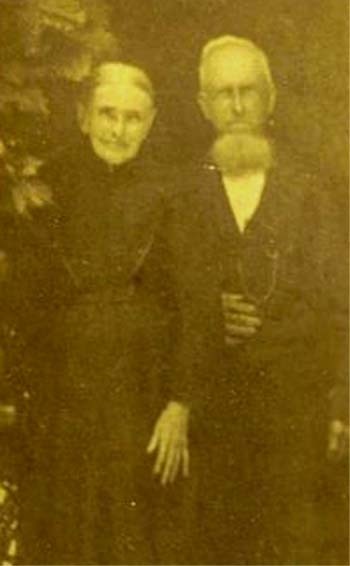 Death*: John Terrell Ponder died on 21 June 1904 at Buncombe Co., NC, at age 88 .